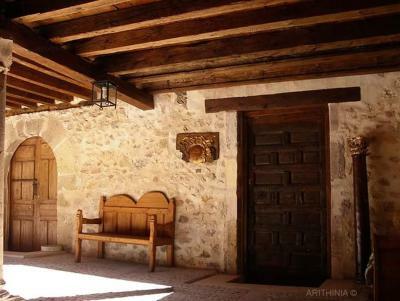 Lock in a great price for Posada de San Millán – rated 9.4 by recent guests! We were there on a night that most restaurants were closed. Luckily, we were able to have lunch at the wonderful restaurant just up the hill and had plenty of food leftover for takeout for dinner. The owner of Posada de San Millan was kind enough to reheat our leftovers so that we could sit in the beautiful dining room and drink a great bottle of wine with dinner. The building is like a trip back in time. Wonderful atmosphere and very friendly staff and owner. Nothing too much trouble. We had snow whilst we were there and it was magical in the courtyard. Would recommend. Great place to stay a night. Lovely property and nice town to walk around. This is a really beautiful old house. The owner asked us to indicate a time of arrival, and she was waiting for us outside as soon as she heard the motorcycle coming up the road. A very warm welcome. The old house reminds me of some of the beautiful old houses I’ve stayed in in Nepal, with a large balcony around a courtyard. 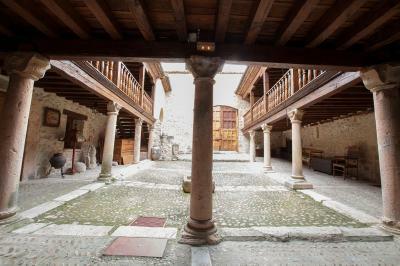 It feels like you are stepping back hundreds of years into medieval Spain. 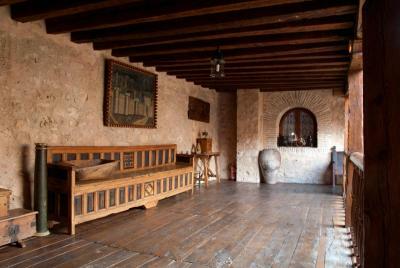 The room was very comfortable and warm, spotlessly clean and furnished with old artefacts. It’s a superb place. 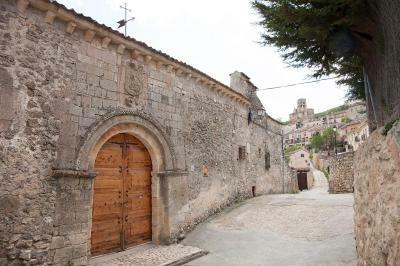 The village is fascinating and well worth a few days stay, both to explore and walk in the region. Superb. A warm welcome to an amazing building. Super location and a real sense of history. Ronnie our breakfast host was cheerful and couldn’t have been more helpful. Excellent parking. 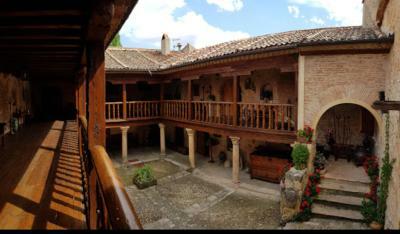 Not the easiest of hotels to get to as there are some very narrow roads in the old town but well worth the effort. Plenty of off-road parking belonging to the hotel. A lovely welcome from the owner who, fortunately, speaks excellent English. A short walk from the centre of the town where there are stunning views and a good choice of places to eat, drink, relax. 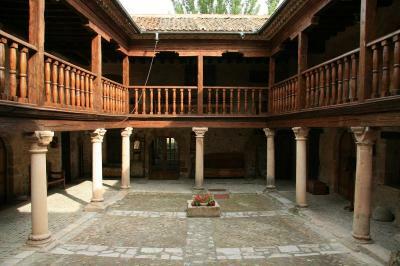 Only a few kilometres off the main road from Burgos to Madrid so ideal for a stop-over between ferry terminals and southern Spain. Excellent breakfast and the coffee kept coming! 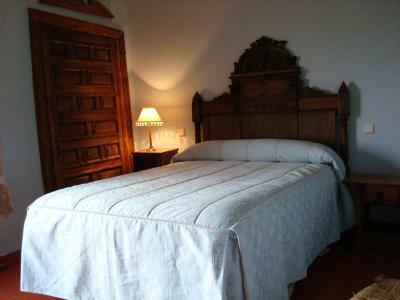 Very comfortable bed, Sepelveda is delightful, full of history, super meal at Casa Roman, the Posada is enchanting, with beautiful antique furniture everywhere. 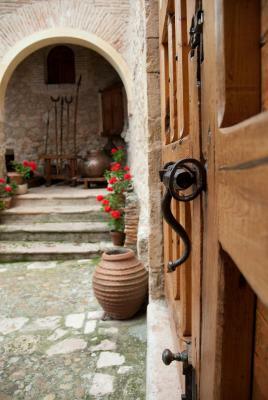 Everything is magical and steeped in history- the Host is welcoming and friendly- the Town is wonderful You must go! The building was beautiful and full of character, restoration of been done very well with lovely fixtures and fittings. Bedroom was large and very comfortable. The whole building and gardens were kept very well. The building & its contents are antique & beautiful. Online we'd requested a vegetarian breakfast & it was delicious with freshly squeezed orange juice, toast, tomato & cheese, coffee & cake. The owner told us later that she had got us eggs & yoghurt too for breakfast which Ronnie had not remembered to put out! 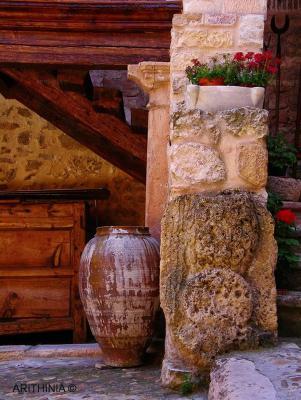 The rustic-style house features a traditional combination of stone and wooden finishes. With classic décor, rooms are set surrounding a patio. Each room features a flat-screen TV and private bathroom including a bathtub and free toiletries. 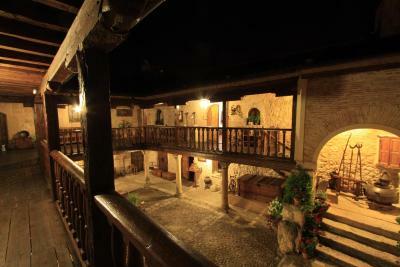 San Millan’s traditional restaurant serves local Castilian cuisine. 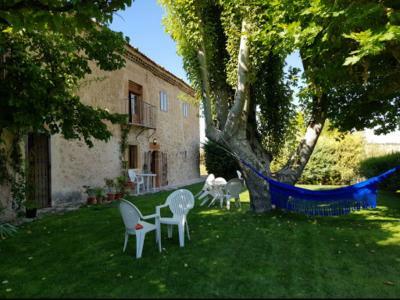 The guest house is located in the center of picturesque Sepúlveda and there is a variety of boutiques and characteristic Spanish restaurants within a 3-minute walk. Surrounded by nature, the location is ideal for outdoor activities such as hiking or kayaking in the river. Historic Segovia is 37 mi from the property. Madrid Airport and the city center are 78 mi away. 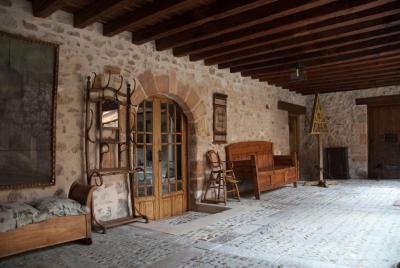 This property is also rated for the best value in Sepúlveda! Guests are getting more for their money when compared to other properties in this city. 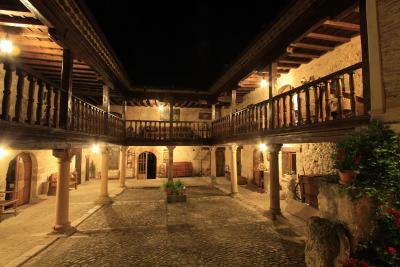 When would you like to stay at Posada de San Millán? This room offers 1 double bed or 2 single beds. The rooms feature a private bathroom with a bathtub, bidet and free toiletries. Towels and bed linen are included. 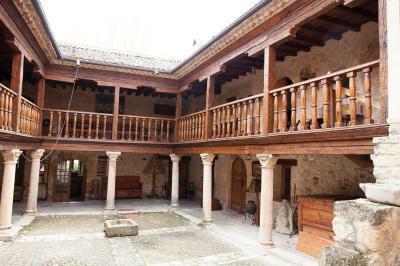 House Rules Posada de San Millán takes special requests – add in the next step! 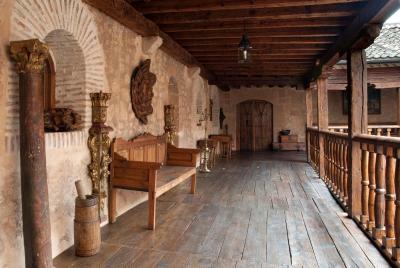 Posada de San Millán accepts these cards and reserves the right to temporarily hold an amount prior to arrival. 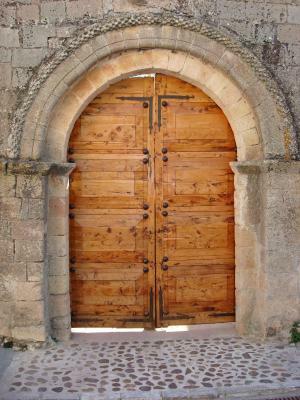 Please inform Posada de San Millán of your expected arrival time in advance. You can use the Special Requests box when booking, or contact the property directly using the contact details in your confirmation. We prefer to eat in the hotel we are staying in but it was only a ten minute stroll into town so nothing really to complain about. Would have liked a few more pillows/cushions on the beds, to be able to sit up and read with comfort! 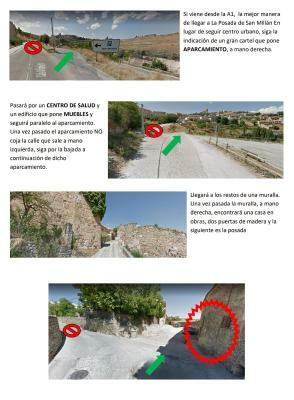 And more directions to find the Posada, as our Sat Nav was useless! The room was hot in the night & with no Aircon (of course!) or openable windows except the large French doors it was hard to let any air in, whilst keeping out potential bugs? The only downside to our stay, was that we stayed on a Monday when nearly all the nearby restaurants and bars in the village were closed. 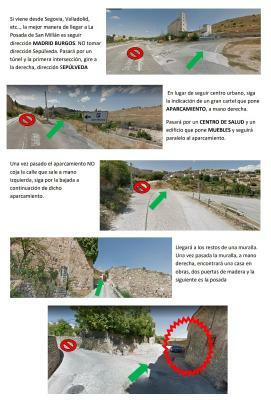 It is a short walk into the historic village where we eventually found 2 bars open but no service of tapas till after 8.30pm in one and 9pm in the other and after a long drive it would have been nice to have eaten a little earlier. It’s got a lot of character. In an ideal location. Welcoming hostess. Very quiet. I’d highly recommend it.